Read the full December 2015 Briefing Notes. Half of the Columbia Institute Team was in Paris for the #COP21 Climate Summit early this month (thanks to our Executive Director, Charley Beresford, for the photos) and it was indeed a historical global moment. We’ll share our report with with you in the new year, but for now here’s one of our favorite highlights! 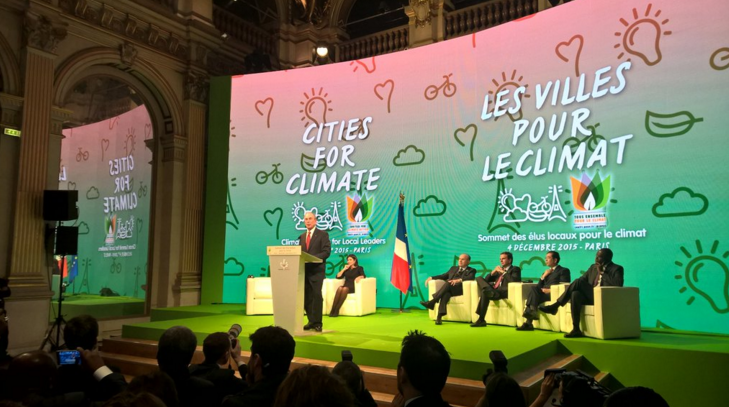 Nearly 1,000 mayors from five continents back aggressive climate change policies in Paris. The mayors, including the City of Vancouver’s Gregor Robertson, pledged to support such long-term climate goals as a transition to 100% renewable energy in their communities or an 80% reduction in greenhouse gases by 2050. Read more.